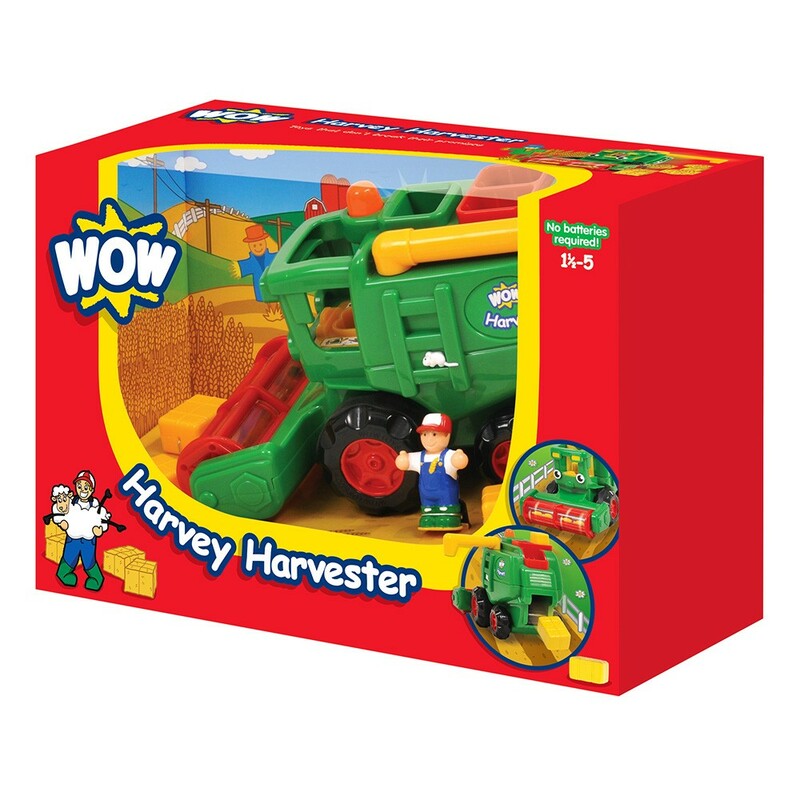 Say 'Hay' to Harvey the Harvester! Known as Harv by his friends, Harvey is an important part of the Wow Farm. Use his tough motorized action to ride through the field with easy, dispatchign barrels of hay as he goes! Help Farmer Phil by simply droping the hay bales into his automatic baler and watch as they cleverly pop out as Harv drives along. He also has a grain pipe that rotates so you can see just how much grain he has collected working on the fields. 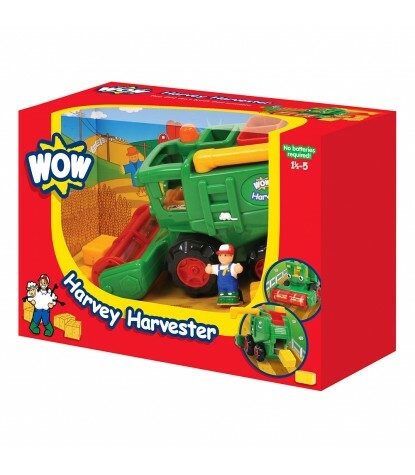 This Wow Toy features 1x motorised combine harvester, 1x Farmer figurine, and 3x Removable hay bales.